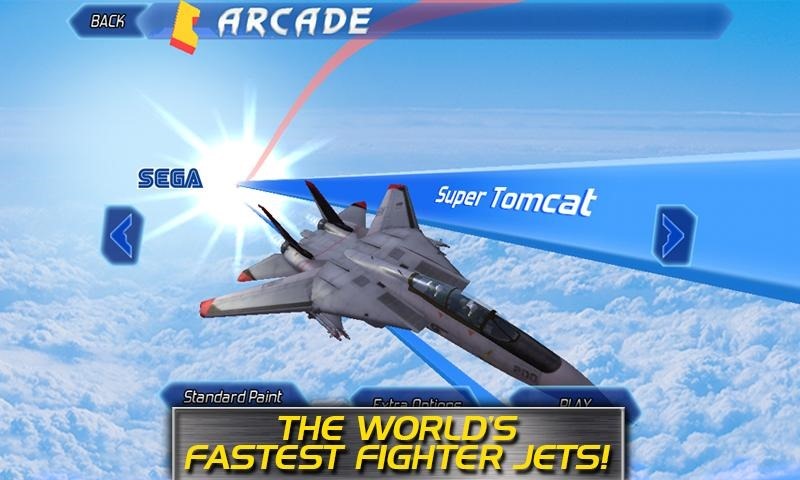 Players will pilot some of the Air Force and Navy's finest machines, including the F14, F15 and F18, through 20 stages against a variety of airborne enemies. 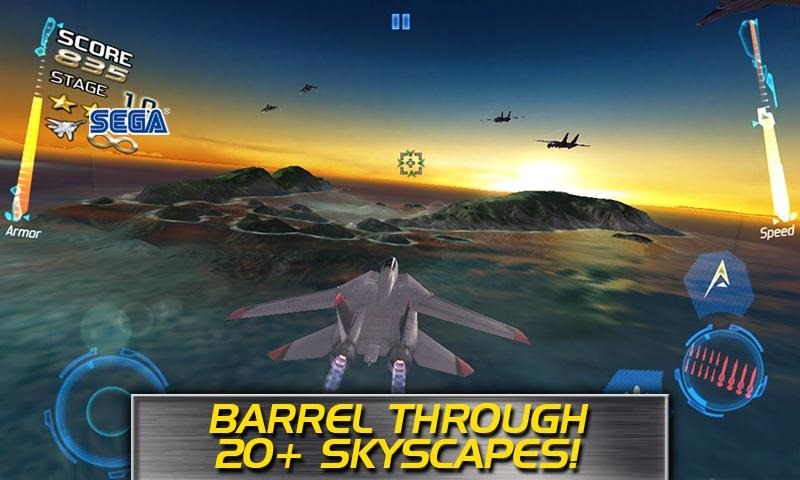 The interface is more focused on fast-paced action than technicality - there's no cockpit view, for example. As you progress, you'll unlock new weapons and cosmetic options for your jet. There's no multiplayer mode (not that this particular game lends itself towards one) but online leaderboards will let you know how you fare against the other aces in the air. 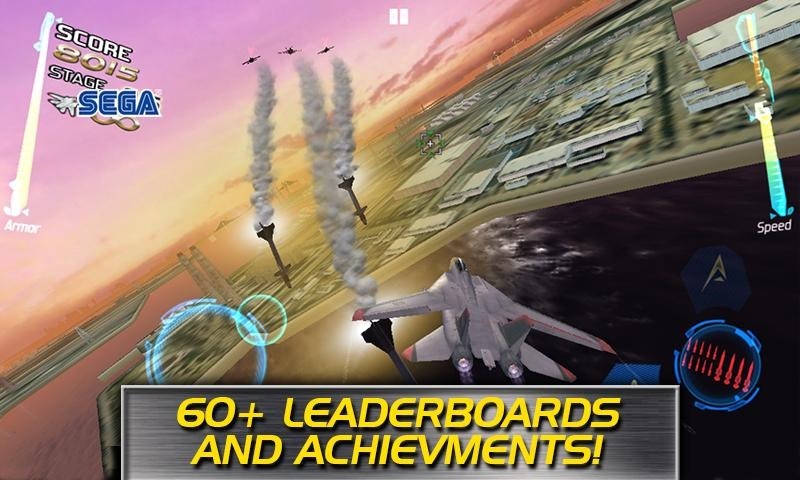 After Burner Climax got a special release as a downloadable title on the Xbox 360 and PlayStation 3 in 2010 before an iOS launch last month. The graphics are noticeably toned-down for mobile versions, and necessarily so, since it's doubtful that current hardware could handle the breakneck pace of the game in its full capacity. Even so, the simplicity of the arcade game should make for a good mobile translation. 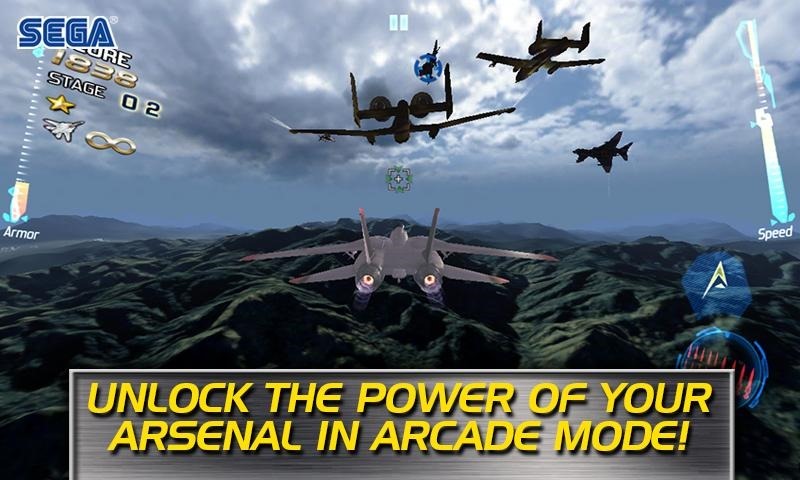 After Burner Climax is available for all Android devices running Gingerbread and up. Update #1: Looks like the game was pulled shortly after release, possibly due to crashes. We've reached out to SEGA to find out when it'll be back. Update #2 (4/4/13): The game is back, with version 1.0.1. You can try your luck again, with fingers crossed.